My favorite part about a new day is my morning routine. My husband has (usually) taken off for work, my son is (hopefully) still asleep, the dog has been fed, and the house is peaceful. It’s that one part of the day that’s just for me. With a hot cup of coffee and my journal, I get cozy on the couch where the morning light is beginning to stream in through the windows. It’s my time. Journaling and I haven’t had the best of relationships. After several attempts as a college student, I decided that it wasn’t for me. I was going through a rough patch at that point in my life, so my daily entries were sometimes upsetting. Why should I waste time to write about things I’d rather forget? Furthermore, when I wrote about a memorable event, I didn’t think my account was very well written. In 2009, my husband deployed to Afghanistan. He was (and is) a journaler. With little availability to call, I would count on communication through mailed letters. In these letters, he would often include excerpts from his journal from days or weeks prior. These entries were not easy to read, but they helped me connect with him. In some ways, I think we were able to communicate better through writing than with a phone call. It was during this time that I decided to reconsider my relationship with journaling. I wanted to use writing as a tool to work through the hard times, organize my thoughts, remember little milestones, and new set goals. In a recent New York Timesarticle, Writing Your Way to Happiness, wellness expert Tara Parker-Pope explains that expressive writing (aka journaling) can improve mood disorders, boost memory, and even improve overall health. Studies show that those who journal are better able to honestly assess situations, have increased optimism, and gain personal accountability. Taking the time to objectively write about yourself, and then reflect on your writing, can be insightful and encouraging. If you’re like me, perhaps you’ve had the goal of working out more often, but you just can’t seem to find the time. When I look back at my writing, I gain perspective as to why I don’t seem to have the time, and this steers me back in the right direction. A few months ago, I blogged about how to develop a personal mission statement. Part of the process depends on taking the time to self-reflect, and journaling gives me the time and space for this. In filling my many roles each day as a wife, mother, and health advocate, the thoughts that fill my head never seem to find a resting place. I have a list of things I need to do that seems endless – appointments to schedule, fitness goals to accomplish, phone calls to make, errands to run, books to read, and papers to write. My journal is where I can unload those things, reorganize my thoughts, and prioritize those things that are important to me – all of which inform my overall mission and approach to life. One of my overarching goals is to appreciate the daily blessings in my life, and journaling helps me do this. If I don’t write it down, then the memory fades. In a recent issue of The New Yorker, Maria Konnikova discusses how we remember things. In her article, You Have No Idea What Happened, she explains that the brain is able to recall an emotional event more accurately than the peripheral details surrounding the event. I don’t know about you, but I don’t want to forget peripheral details of significant events. I want to remember that rough patch I went through in college to gain perspective on how far I’ve come. I want to remember just how I felt the first time I saw my newborn son. I want to remember every last detail of that dream I had where my grandfather offered me his heavenly, comforting words. When I record an event by writing about it, I capture a more vivid account of the memory. Also, by reflecting on it, I’m able to recognize the value of the moment within the context of my life. Because I wrote about each of these memories, I can revisit them in my journal whenever the spirit moves me. Find a journal you like – having a good journal and writing utensil are like having a set of gym clothes that you love. They will motivate you to get moving (or writing). Create a routine. Choose a time that works best for you. When you decide on the time, you will look forward to your time. You don’t have to spend a lot of time journaling; do whatever you want. The New York Times reported on a study where participants wrote a few lines about what they were thankful for once per week. After two months, participants were happier and more optimistic than those who did not journal. Don’t fret over what to write. I almost always begin my journal entry with the weather or what I’m looking forward to that day. Someone once said, “there’s no such thing as writer’s block. Just start writing something. It doesn’t matter what you’re writing, just write and your brain will start getting in the right state of mind.” Just start writing and you will inevitably relax into your thoughts. This is exercise for your brain, and just like any other form of exercise, it can take some practice. 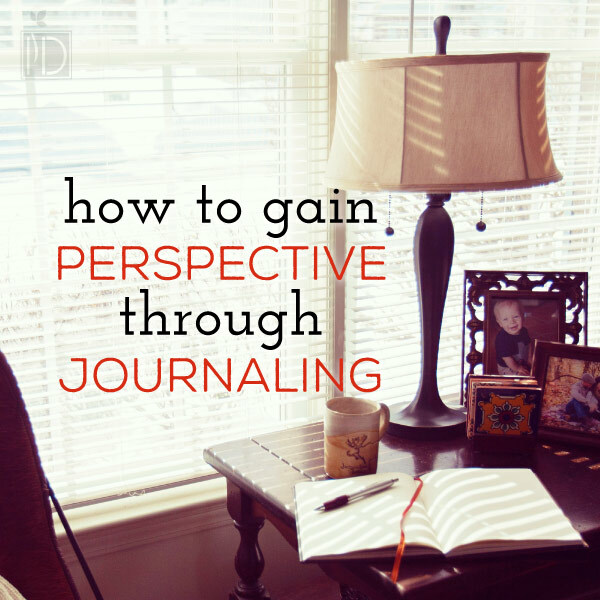 What are your tips for journaling?